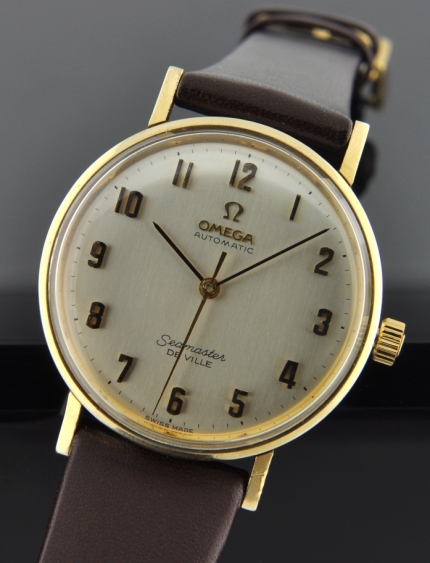 This 34mm.gold plated Omega Seamaster Deville automatic dating to 1966 is completely original, right down to the original Omega crystal, winding crown, dial, movement and case. 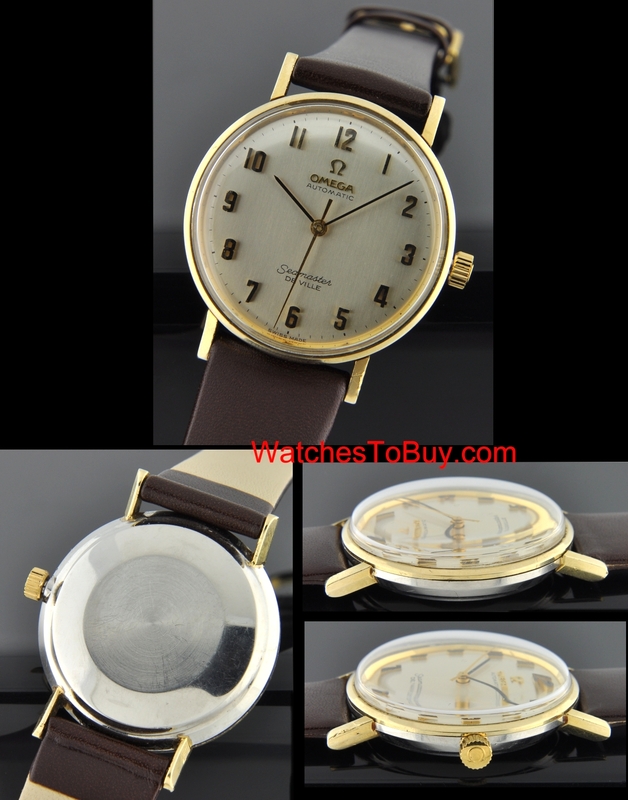 This watch dates to 1966 with its 24 million serial #. The silver dial with raised gold tone Arabic numerals is pristine. Any marks visible on the case in my close-up photos are barely noticeable with the naked eye. This automatic winding, sparkling OMEGA caliber 552 movement was just cleaned and accurate.